Aggressive driving is a growing problem in states all across the nation and, sadly, California is no exception. In fact, according to a 2018 study by GasBuddy.com, California has more aggressive drivers than any other state. Unfortunately, this results in a large number of aggressive driving-related accidents, injuries, and fatalities. Fortunately, Californians injured in accidents caused by aggressive drivers may be entitled to a wide range of compensation. If you were injured in an aggressive driving accident and are considering taking legal action, here's what you should know. Though many states consider aggressive driving to be a simple traffic infraction, in California, aggressive driving is a misdemeanor criminal offense. 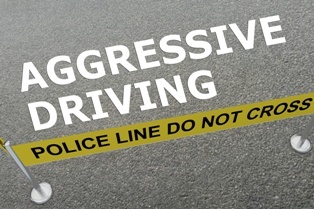 People convicted of aggressive driving can face stiff penalties, including up to 90 days in jail, fines of up to $1,000, a possible increase in car insurance rates, and the loss of driving privileges. Additionally, people convicted of aggressive driving open themselves up to civil liability for any accidents, injuries, deaths, or other damages they may have caused. Though economic and non-economic damages are the most common types of damages in car accident personal injury claims, in cases where the defendant's behavior was particularly egregious, the judge or jury may award a third type of compensation, known as punitive damages. This category of compensation seeks to punish a defendant for especially wanton behavior and deter similar conduct from others. A personal injury attorney can help you determine if punitive damages might be applicable in your case. If you were hurt in an accident caused by an aggressive driver, you may be facing serious injuries and unexpected medical debt, all while being unable to work as you recover from the crash. At the Inland Empire Law Group, we understand just how stressful this situation can be. We've helped countless Californians in situations like yours fight for—and obtain—the compensation they need to get back on their feet after an accident. Do you have questions about a California aggressive driving accident? We can help you understand your legal rights and explore your avenues for compensation. Contact us today at (888) 694-3529 or (909) 481-0100 to schedule an appointment for a free initial consultation to discuss the details of your aggressive driving car accident case with a member of our legal team. When Are Punitive Damages Appropriate?